Bindusara was born to Chandragupta, the founder of the Mauryan Empire. This is attested by several sources, including the various Puranas and the Mahavamsa. He is attested by the Buddhist texts such as Dipavamsa and Mahavamsa ("Bindusaro"); the Jain texts such as Parishishta-Parvan; as well as the Hindu texts such as Vishnu Purana ("Vindusara"). According to the 12th century Jain writer Hemachandra's Parishishta-Parvan, the name of Bindusara's mother was Durdhara. Some Greek sources also mention him by the name "Amitrochates" or its variations. 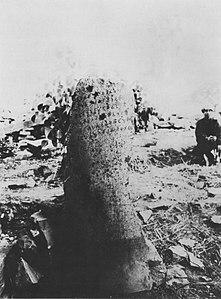 Historical evidence suggests that Bindusara died in the 270s BCE. According to Upinder Singh, Bindusara died around 273 BCE. Alain Daniélou believes that he died around 274 BCE. Sailendra Nath Sen believes that he died around 273-272 BCE, and that his death was followed by a four-year struggle of succession, after which his son Ashoka became the emperor in 269-268 BCE. According to the Mahavamsa, Bindusara reigned for 28 years. The Vayu Purana, which names Chandragupta's successor as "Bhadrasara", states that he ruled for 25 years. In many ways, the economic situation in the Mauryan Empire is analogous to the Roman Empire of several centuries later. Both had extensive trade connections and both had organizations similar to corporations. While Rome had organizational entities which were largely used for public state-driven projects, Mauryan India had numerous private commercial entities. These existed purely for private commerce and developed before the Mauryan Empire itself. During the Ashokan period, stonework was of a highly diversified order and comprised lofty free-standing pillars, railings of stupas, lion thrones and other colossal figures. The use of stone had reached such great perfection during this time that even small fragments of stone art were given a high lustrous polish resembling fine enamel. This period marked the beginning of the Buddhist school of architecture. Ashoka was responsible for the construction of several stupas, which were large domes and bearing symbols of Buddha. The most important ones are located at Sanchi, Bharhut, Amaravati, Bodhgaya and Nagarjunakonda. 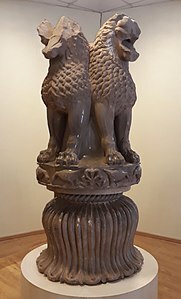 The most widespread examples of Mauryan architecture are the Ashoka pillars and carved edicts of Ashoka, often exquisitely decorated, with more than 40 spread throughout the Indian subcontinent. Chandragupta and Seleucus concluded a peace treaty and a marital alliance in 303 BCE. 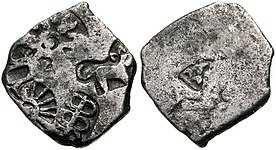 Chandragupta received vast territories and in a return gave Seleucus 500 war elephants, a military asset which would play a decisive role at the Battle of Ipsus in 301 BCE. In addition to this treaty, Seleucus dispatched an ambassador, Megasthenes, to Chandragupta, and later Deimakos to his son Bindusara, at the Mauryan court at Pataliputra (modern Patna in Bihar). Later, Ptolemy II Philadelphus, the ruler of Ptolemaic Egypt and contemporary of Ashoka, is also recorded by Pliny the Elder as having sent an ambassador named Dionysius to the Mauryan court. "He (Seleucus) crossed the Indus and waged war with Sandrocottus [Maurya], king of the Indians, who dwelt on the banks of that stream, until they came to an understanding with each other and contracted a marriage relationship." "After having made a treaty with him (Sandrakotos) and put in order the Orient situation, Seleucos went to war against Antigonus." "The conquest by Dharma has been won here, on the borders, and even six hundred yojanas (5,400–9,600 km) away, where the Greek king Antiochos rules, beyond there where the four kings named Ptolemy, Antigonos, Magas and Alexander rule, likewise in the south among the Cholas, the Pandyas, and as far as Tamraparni (Sri Lanka)." (Edicts of Ashoka, 13th Rock Edict, S. Dhammika). The Greeks in India even seem to have played an active role in the propagation of Buddhism, as some of the emissaries of Ashoka, such as Dharmaraksita, are described in Pali sources as leading Greek ("Yona") Buddhist monks, active in Buddhist proselytism (the Mahavamsa, XII). ^ Kosmin, Paul J. (2014). The Land of the Elephant Kings. Harvard University Press. p. 57. ISBN 9780674728820. Agam Kuan (Hindi: अगम कुआं ,"unfathomable well") is an ancient well and archaeological site in Patna, India. It is said to date back to the period of Mauryan emperor, Ashoka (304–232 BCE). Circular in shape, the well is lined with brick in the upper 13 metres (43 ft) and contains wooden rings in the remaining 19 metres (62 ft). The Agam Kuan is set within an archaeological site identified by the Archaeological Survey of India which also contains the adjacent Shitala Devi temple where the folk deity Shitala Devi is venerated. Inside this temple, the pindas of the Saptamatrikas (the seven mother goddesses) are worshipped. The temple is widely revered for its belief in curing smallpox and chicken pox. Aśoka is a 2001 Indian epic historical drama film directed and co-written by Santosh Sivan. It is a dramatised version of the early life of emperor Asoka, of the Maurya dynasty, who ruled most of the Indian subcontinent in the 3rd century BCE. The film stars Shah Rukh Khan, Kareena Kapoor, Ajith Kumar (in his Hindi debut and remains the only Hindi movie he has worked), Danny Denzongpa and Hrishita Bhatt. It was produced by Khan, Juhi Chawla and Radhika Sangoi. The screenplay was written by Santosh Sivan and Saket Chaudhary and the dialogue by Abbas Tyrewala. It was originally released as Ashoka The Great in India. The Tamil release title is Samrat Ashoka. The film was widely screened across the United Kingdom and North America, and was also selected for screening at the Venice Film Festival and the Toronto International Film Festival, where it got positive response. The film was critically acclaimed and performed very well at the box office. Brihadratha (IAST: Brihadratha Maurya) was the last ruler of the Maurya Empire. He ruled from c. 187 – c. 180 BCE. He was killed by his general, Pushyamitra Shunga, who went on to establish the Shunga Empire. Mauryan territories, centred on the capital of Pataliputra, had shrunk considerably from the time of Ashoka when Brihadratha came to the throne. The Butkara Stupa (Urdu: بت کڑہ اسٹوپا‎) is an important Buddhist stupa near Mingora, in the area of Swat, Pakistan. It may have been built by the Mauryan emperor Ashoka, but it is generally dated slightly later to the 2nd century BCE. The stupa was enlarged on five occasions during the following centuries, every time by building over, and encapsulating, the previous structure. a text dated to roughly between the 2nd century BCE and the 3rd century CE. As such, he is considered the pioneer of the field of political science and economics in India, and his work is thought of as an important precursor to classical economics. His works were lost near the end of the Gupta Empire and not rediscovered until the early twentieth century.Chanakya assisted the first Mauryan emperor Chandragupta in his rise to power. He is widely credited for having played an important role in the establishment of the Maurya Empire. Chanakya served as the chief advisor to both emperors Chandragupta and his son Bindusara. Chandragupta is a 1934 Hindi/Urdu historical film directed by A. R. Kardar. Produced by East India Film Company, the music direction was by K. C. Dey. Kardar had shifted to Calcutta where he joined the East India Film Company, and directed "hits" like Chandragupta. The film starred Nazir as Chandragupta. The cast included Gul Hamid, Sabita Devi, Mazhar Khan, Dhiraj Bhattacharya, Vasantrao Pehalwan.The story, historical, involves the founder of the Mauryan Empire, Chandragupta Maurya, and his Machiavellian Brahmin advisor/Minister Chanakya. The film had a commercial success at the box-office and proclaimed Kardar as a "talented film-maker". Chandragupta Maurya (Devanagari: चन्द्रगुप्त मौर्य) is an Indian historical drama being broadcast on Dangal TV, based on the life of Chandragupta Maurya, one of the major Indian Emperors of ancient India. Chandragupta Maurya was first aired in March 2011 on Imagine TV. Ashish Sharma played the role of Chandragupta Maurya. Chitralekha is a 1964 historical-philosophical Hindi film directed by Kidar Sharma and starring Ashok Kumar, Meena Kumari, and Pradeep Kumar. It was based on the 1934 Hindi novel of the same name by Bhagwati Charan Verma about Bijgupta serving under the Maurya Empire and the king Chandragupta Maurya (340 BCE – 298 BCE) and his love for the courtesan Chitralekha. The film's music and lyrics were by Roshan and Sahir Ludhianvi, respectively. The film was noted for songs such as "Sansaar Se Bhaage Phirte Ho" and "Man Re Tu Kaahe. "It was a remake of Chitralekha (1941), also directed by Kidar Sharma, which was the second-highest grossing Indian film of 1941. Unlike the previous version, the 1964 film did not do well at the box office; critics have suggested poor screenwriting and incorrect casting as reasons. The conquest of the Nanda Empire under Dhana Nanda by a force under Chandragupta Maurya in the 4th century BC led to the establishment of the Maurya Empire. Little is known for certain of the conflict. The Grand Trunk Road is one of Asia's oldest and longest major roads — built by Sher Shah Suri of the Sur Empire , a South Asian empire that existed in the 16th century AD. It links South Asia with Central Asia. The road starts in Kabul, Afghanistan and continues to Pakistan near Peshawar through the famous Khyber Pass. This famous international mountain pass, at an elevation of 1,070 m (3,510 ft) above sea level, is one of the oldest known passes in the world, and connects Afghanistan and Pakistan, cutting through the northeastern part of the Spīn Ghar mountains. After the pass, the Grand Trunk Road arrives to the suburbs of Taxila, and goes down to Lahore after which it crosses into India at Wagah. After 2500 km, the road ends at Kolkata. The road was considerably upgraded in the British period between 1833 and 1860. 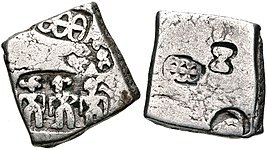 In the prehistory of the Indian subcontinent, an "Iron Age" is recognized as succeeding the Late Harappan (Cemetery H) culture. 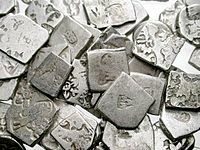 The main Iron Age archaeological cultures of present-day northern India are the Painted Grey Ware culture (1200 to 600 BCE) and the Northern Black Polished Ware (700 to 200 BCE). This corresponds to the transition of the Janapadas or tribal kingdoms of the Vedic period to the sixteen Mahajanapadas or kingdoms of the proto-historic period, culminating in the emergence of the historical Buddhist Maurya Empire towards the end of the period. As elsewhere, the earliest evidence of iron smelting predates the emergence of the Iron Age proper by several centuries. The Kalinga War (ended c. 262 BCE) was fought in what is now India between the Maurya Empire under Ashoka and King of Raja Anantha of the state of Kalinga, an independent feudal kingdom located on the east coast, in the present-day state of Odisha and north of Andhra Pradesh . The Kalinga War included one of the largest and bloodiest battles in Indian history. Despite an unexpectedly fierce resistance from the Kalingans, the Maurya Empire claimed victory and annexed the state of Kalinga. Kalinga did not have a king as it was culturally run without any.This is the only major war Ashoka fought after his accession to the throne. The bloodshed of this war is said to have prompted Ashoka to adopt Buddhism. Kumhrar or Kumrahar is the name of an area of Patna, where remains of the ancient city of Pataliputra were excavated. It is located 5 km east of Patna Railway Station.Archaeological remains of the Mauryan period (322–185 BCE) have been discovered here, this include the ruins of a hypostyle 80-pillared hall The excavation finding here dates back to 600 BCE, and marks the ancient capital of Ajatshatru, Chandragupta and Ashoka, and collectively the relics range from four continuous periods from 600 BCE to 600 CE. Kusha or Kusa (Sanskrit: कुश) and his twin brother Lava were the children of Rama and Sita. Their story is recounted in the Hindu epic, the Ramayana. Hindu traditions claim he ruled the entire region of Kashmir, Indus River and Hindu Kush as frontier lands of India known as Hindu Kush Kshetra and founded the city of Kashmir in the valley and Kasur with Lavapuri of lava in base lands, though local lore contends Kasur was founded in 1525 by Pashtun migrants. His brother Lava is traditionally believed to have founded Lavapuri (current day city of Lahore). The imperial line that ruled Kingdom of Benares-Kashi and the Maurya Empire, which ruled South Asia from 320-185 BCE, claimed descent from Kusha. Kusha is said to be a Raghuvanshi Ikshvaku Suryavanshi. The Mahameghavahana dynasty (Mahā-Mēgha-Vāhana, c. 250s BC to 5th century CE) was an ancient ruling dynasty of Kalinga after the decline of the Maurya Empire. 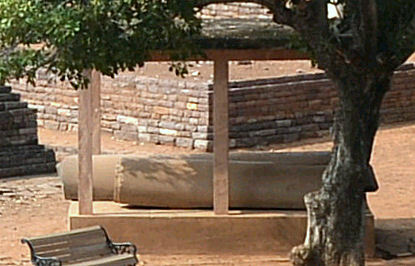 The third ruler of the dynasty, Kharavela is known by his Hathigumpha inscription. Kharavela patronised Jainism, but did not discriminate against other religions. Pataliputra (Sanskrit: पाटलिपुत्र, IAST: Pāṭaliputra), adjacent to modern-day Patna, was a city in ancient India, originally built by Magadha ruler Udayin in 490 BCE as a small fort (Pāṭaligrāma) near the Ganges river. It became the capital of major powers in ancient India, such as the Shishunaga Empire (c. 413–345 BCE), Nanda Empire (c. 345–320 BCE), the Maurya Empire (c. 320–180 BCE), the Gupta Empire (c. 320–550 CE), and the Pala Empire (c. 750–1200 CE). During the Maurya period (see below), it became one of the largest cities in the world. As per the Greek diplomat, traveler and historian Megasthenes, during the Mauryan Empire (c. 320–180 BCE) it was among the first cities in the world to have a highly efficient form of local self government.Extensive archaeological excavations have been made in the vicinity of modern Patna. Excavations early in the 20th century around Patna revealed clear evidence of large fortification walls, including reinforcing wooden trusses. The Seleucid–Mauryan War was fought between 305 and 303 BCE. It started when Seleucus I Nicator, of the Seleucid Empire, sought to retake the Indian satrapies of the Macedonian Empire which had been occupied by Emperor Chandragupta Maurya, of the Maurya Empire. The war ended in a settlement resulting in the annexation the Indus Valley region and part of Afghanistan to the Mauryan Empire, with Chandragupta securing control over the areas that he had sought, and a marriage alliance between the two powers. After the war, the Mauryan Empire emerged as the dominant power of the Indian Subcontinent, and the Seleucid Empire turned its attention toward defeating its rivals in the west. Yaudheya or Yaudheya Gana (Yaudheya Republic) was an ancient militant confederation. The word Yaudheya is a derivative of the word yuddha or from yodha meaning warriors. They principally were kshatriya renown for their skills in warfare, as inscribed in the Junagadh rock inscription of Rudradaman. The Yaudheyas emerged in the 5th century BCE. They not only survived the Maurya Empire and Shunga Empire, but also the Kshatraps and Kushan Empire. The Yaudheya Republic flourished up to the middle to the 4th century when it was conquered by Samudragupta and incorporated into the Gupta Empire.